What is the easiest way to improve my diet? There are two very simple steps to improving diet. Eat a rainbow – try to eat as many different coloured fruit and vegetables every day. Eat natural – think about the food you eat, how close is it to the original product? For example, steak is far closer to the original cow than a burger, raw carrot sticks are far closer to the original carrot than carrot soup. Follow these two simple rules and your diet will improve very quickly and you’ll notice the associated benefits of increased energy, better complexion, a slimmer waist line, etc. Follow this simple rule with everything you eat and drink; this includes snacks, which tend to be most teenagers downfall. Guidelines for young people are 60 minutes activity every day including 30 minutes of exercise where your heart rate is raised, for example playing sport, running, dance class, swimming, cycling. What is a healthy shape and size for me? There is a children’s BMI. 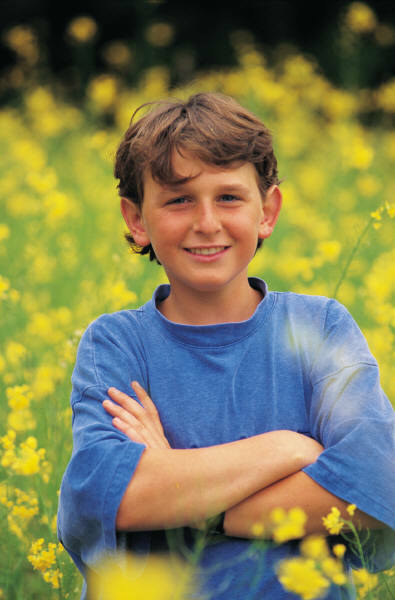 However, many professionals agree BMI should only be one factor when considering a healthy shape and size for teens. However, it is more accurate than the adult BMI as it considers age, height and weight. On the downside it only considers an average for your age which makes it inaccurate because, as we all know, teens mature at different ages. Discourage comparing teens with friends and classmates. Every teen develops at a different rate. Even as adults we are all very different shapes. Instead, pay attention to how much extra fat lies around the mid-section. Find an activity you enjoy! Use your imagination; there are so many activities to choose from……Indoor activities – fitness class, dance class, sports such as basketball and volley ball, boxercise. Outdoor activities – netball, football, hockey and other team sports, running, power walking, fitness class, cycling. Water activities – sailing, swimming, windsurfing. Home activities – wii fit, exercise video, trampolining, exercise video, hula hooping, skipping. And the list goes on……. Find something you enjoy or mix and match with several different activities. Do something with your friends or by yourself. Include some strength and flexibility work into your exercise such as a bodyweight workout, gym workout or yoga class to promote full body fitness. Filed Under: Kids/Teen Corner Tagged With: Teens and Exercise. Questions and Answers about teenagers and fitness. Remember when you went to middle school, and the choices you encountered in the hot lunch line? I still can clearly recall the tater tots and fish sticks as well as a gallon jar of oily peanut butter! Sure, there might have been an apple as well, but the point is when kids are faced with unhealthy options they will gravitate towards them. The school lunch has received attention recently for nutritional void- truth is the hot lunches we dealt with when we were kids are confronting our kids now. 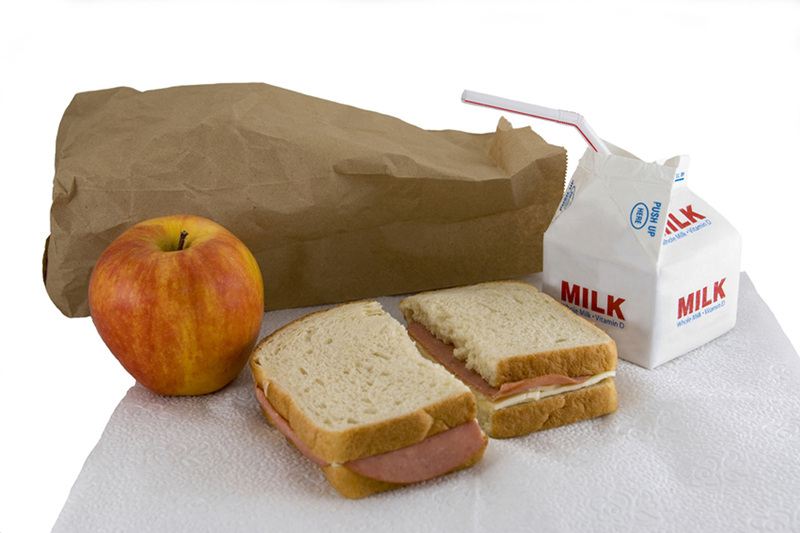 Here are 8 simple steps to fill the nutritional void from school lunches. Step 1: Take time to pack your kids lunch with them, either the night before or the morning of school. Parents directly influence meal choices their kids make; packing a lunch at home is the best way to prevent poor choices. Understandably, preparing a lunch is inconvenient in what can be a chaotic time of day; sending money in place of a lunchbox is much more conducive. But, first and foremost this is more than just lunch. We are “teaching and educating” kids on how much and what to eat. Step 2: Completely remove soda and juice boxes. Sodas are responsible for the most extra calories in today’s diets (12 ounces has about 150 calories). If it is carbonation kids crave, introduce flavored sparkling waters that are infused with natural flavors. Try a brand that doesn’t add artificial sugars. Even the tradition milk, or chocolate milk, is a healthier option, packing vitamins and protein. Step 3: Replace the mayonnaise with mustard. Trade the high fat and cholesterol condiment for the flavorful yellow alternative. French’s classic mustard boasts zero fat and zero cholesterol, and a little mustard goes a long way on sandwiches. Step 4: Pack lean protein lunch meats. Sure, hotdogs and bologna are a favorite of kids, and adults, but the high sodium and high fat meats pack little to no protein. Protein is an important component in a child’s growing body, from rebuilding muscles to supplying the necessary antibodies to fight off diseases. Think grilled chicken breast, lean turkey or tuna salad as a lunch alternative. Step 5: Fruit with yogurt is a sweet alternative to store bought dessert. Forget the three C’s: cookies, cake, and candy, it is just as easy to pack an apple or banana. Get creative with a homemade parfait by adding yogurt and granola to the mix. Step 6: Replace potato chips with something healthy and crunchy. With high sodium, fat and calories, it is difficult to see any redeeming quality to serving chips on a regular basis. Give vegetables a chance to replace the fun and crunchy aspect of chips. Fill celery sticks with almond butter (a great alternative to peanut butter), or pack snap peas and carrots with a side of hummus. Step 7: Forget the white bread and go for whole wheat bread and pita. White bread has been under scrutiny for years, slowly being replaced by whole wheat options. Whole wheat grains are linked to lower risk of health problems, like diabetes. 100% whole wheat bread or whole wheat pitas are great for sandwiches and provide the necessary grains. Step 8: Put something fun in your kid’s lunch every day. After all these steps, it may seem like your child may not enjoy their lunch as much as before, but that is why this step is important. A little something special, like a Jello cup or fruit roll up can make a lunch something to look forward to…and hopefully not trade with other kids. Dr. Sasse founded Western Bariatric Institute and iMetabolic. He is also the author of numerous books and a featured speaker nationally in the field of weight loss. The unique combination of physical exercise and mental discipline. This unique combination helps children involved in martial arts avoid physical confrontation and make good choices. The self-esteem and confidence gained through martial arts also pays life-long dividends for youth grappling with their own emotional development. Martial arts training is evolving to take on these new social challenges facing 21st century children. Provides positive reinforcement and praise to all participants. Every child gets to participate in the activity. No one sits on the side lines. Teaches discipline to set and achieve goals. This is done by the belt ranking system. Children test every few months and have to learn new material for each belt level. This philosophy is then applied to other areas of life such as school and team sports. Drive, discipline and determination are the three traits to success in anything they undertake. Good choices are a theme in our life skills and education program. Offers mentoring. Mentoring from the sensi (karate teacher) teaches confidence, instills the discipline to make proper choices, and builds self-esteem. Martial arts engage youth in a physical, mental and psychological transformation that is invaluable self-defense against the pitfalls encountered on the road to adulthood. 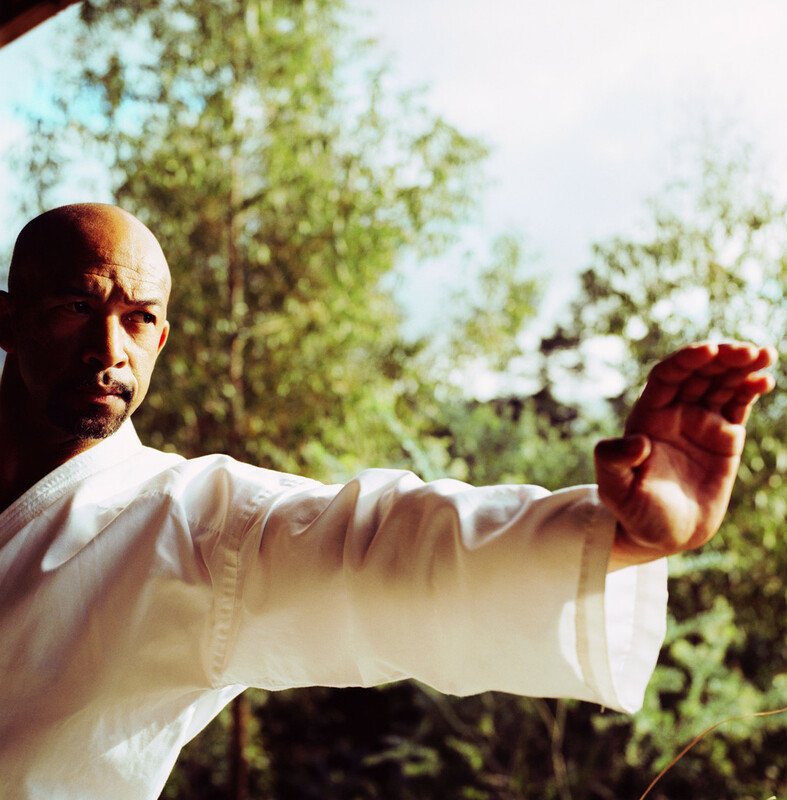 Grandmaster Ed Samane is the founder of Pro Martial Arts, a national martial arts franchise that focuses on character building and life skills training. 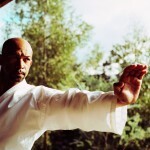 He has over 30 years experience in various forms of martial arts and has earned a 7th Degree black belt in Tang Soo Do and an 8th degree black belt in Sin Moo Hapkido. To learn more visit: www.promartialarts.com. Open Discussion. The best way to talk to your child about living healthily is to find a quiet relaxed time, perhaps out on a walk, and bring it slowly into the conversation. Ask your child what they know about living healthily and what it means to them. 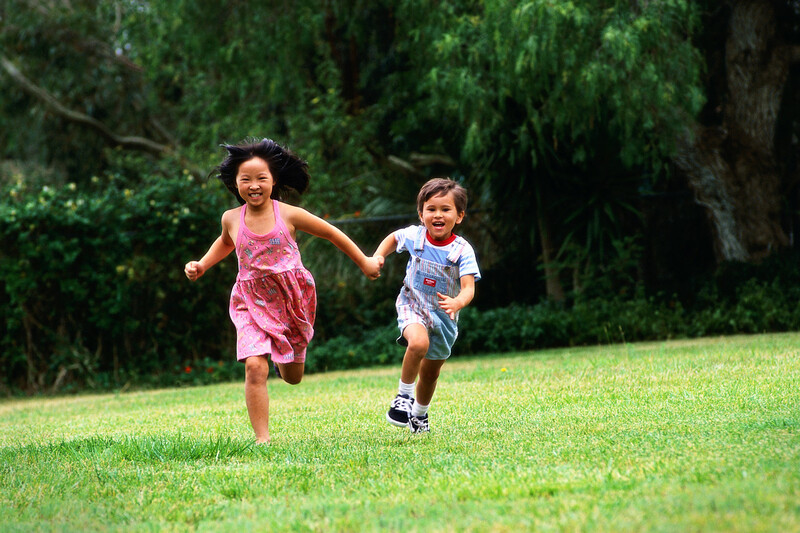 Ask your child how exercise makes them feel and if they have any particular activities they enjoy. Suggest ways you can incorporate these activities in their life and make suggestions for other activities based on what they particularly enjoy. Keep things relevant to the benefits they can experience now such as drinking more water for a better complexion, eating fruit and vegetables to feel better. Try not to concentrate on future health benefits as these have little relevance to children who want results now. Family Time. One of the best ways to start being active as a family is through computer games such as the wii fit. Start slowly and keep it fun. Once your children are used to being active as a family, suggest bicycle rides to the park, walks that include a picnic, trips to the beach or swimming pool etc. You can be active around your house by having a race to see who can tidy their bedroom the quickest, or who can get dressed/un-dressed quickest, or by getting one member of the family to set a treasure hunt or obstacle course for the rest of the family to follow. Prepare Healthful Snacks. As children get older it becomes harder to ensure their healthy food choices especially as you’re no longer with them all the time. The best way to ensure they eat healthily is to talk to them regularly about the benefits of eating healthy foods and why other foods may not be the best choice – healthy eating will ensure they have more energy, less mood swings, less illness, sleep better etc. This has to be backed up by being a good role model and ensuring that you enjoy a healthy diet too. Most teenagers will still look to their parent’s example before following what their friends and peers are doing. 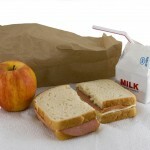 For many children the biggest time for slip-ups is coming home from school when a trip to the convenience store is just too tempting – help your child by ensuring they have a healthy snack in their bag to eat on their way home or let them know there will be something tasty waiting for them when they arrive home. 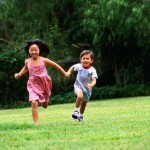 tag, to basketball and hide and seek, kids are running every single day! dynamic stretches (moving stretches, not static or stationary stretches). contest to see how many the kids can do in one minute. Stand up straight and shoulders back. will hurt their back and not allow them to breathe properly. Arms should swing forward to back, not side to side. Thumbs should lightly graze the hip bone. Head up and looking forward. breathing in and out through their mouth only as they continue. like to or tell you they can. Lace up! themselves. Reward them for their efforts. run is enjoyable and injury free. For successful integration back into the routine of school, have schedules in place a little before school starts, so for most of us that is right now. Start getting kids to bed earlier to be ready to wake up for the first day of school. Create a structured routine before school begins. Put in the after-school snack break as soon as they come home from school, so they can de-compress and try beginning homework right away with the goal of completing as much as possible before dinner. After dinner they can finish up and relax a little before going to sleep. Plan ahead! If your child has a difficult time getting up and moving in the morning, do as much as possible the night before. For example, have clothes laid-out, backpacks ready and even have lunches bagged. Make the morning time decision-less. 1. Designate places for everything to go before chaos ensues; backpacks in one place always. 3. Set aside extra time the first couple of weeks to fill out forms and read up on all the class material that will be coming home. 4. Write all the dates for holidays, partial days, no-school days into your family calendar or smart phone so that there are no surprises during the year. Also note when your teen has mid-terms and finals, as well as the all-school testing dates, so you can plan accordingly. Careful organizing now will allow for an easy transition when school begins. Gather school supplies AFTER the teachers send home their list to avoid running to the store twice. Block time out NOW for what you know will be happening in the first week or two and you will all enjoy a better first day of school. Ever feel so overwhelmed that you can’t even think straight? Planning an outing with a little one takes exactly that…planning! Three experts share their user-friendly, everyday child care tips for insuring we have all we need… in one bag. 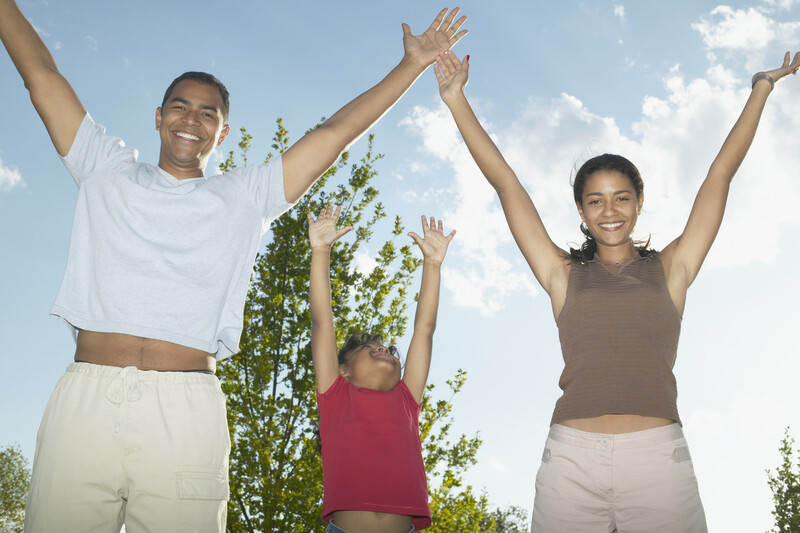 A little pre-planning allows moms and dads to travel about town with greater ease, and less stress. These simple tips will feed your little one’s mind, challenge their body and invigorate their spirit. The beeper rules. Eliminate the struggle of when to say when, by trying this trick from Brett Klika, Director of Athletics at Fitness Quest 10 and author/researcher of children and athletics. Pick up a child friendly watch at your local convenience store, and show him/her how to fasten about the wrist. Set the countdown timer at ten minutes to go. “Setting the timer gives the child an objective boundary for certain behavior.” He further explains, “your child will learn to value time and since they have the watch, feel as though they have more control or input.” Klika continues, “this process removes the power-struggle and places time accountability in their hands,” The result is no tears, no dreaded melt-downs and no more negotiations. Game on. Stashing a deck of cards in your bag provides fun memory or coordination games to distract little ones while running errands. Klika, advises “toss a card in the air and challenge your child to catch it. Or play games with the numbers. For example, “pick two cards and calculate the sum of the two numbers.” He continues, “or choose a few cards and challenge them to remember the order.” Your imagination is the limit to activities using a deck of cards. Fun with Bubbles. Pack a small container of bubbles to help focus your little one’s energy. Jan Schroeder, PhD Department of Kinesiology at Cal State University Long Beach recommends, “alternate blowing bubbles and chasing them across the lawn.” Counting or adding bubbles as they appear and then subtracting as they pop is another fun option to provide practice learning numbers. Focusing energy and attention on a physical or mental activity will provide a welcome distraction while waiting for an appointment. Get it on the calendar! It’s imperative to schedule the workout time. If it is not on the calendar, it doesn’t happen. A workout can be achieved with any time schedule, a 20-minute run, 10 minutes of free weights, a total body workout class. My saving grace is that I am a member of a gym that offers childcare facilities. I achieve double duty by taking time for myself while keeping in shape. Go on exercise play dates. Join Baby Boot Camp with your new mom friends; incorporate sporting activities into your day at the beach or park; run with your jogging strollers along the beach. Exercise is always easier when you have a friend helping you achieve your goals. Walk, walk, walk! 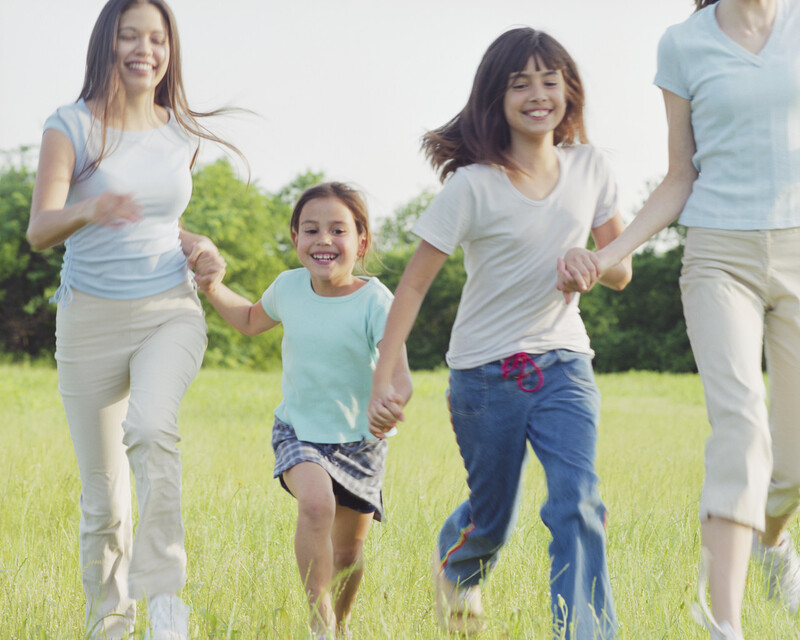 The best way to exercise with kids of any age is walking. Whether in a stroller or allowing them to walk along side of you, going out on a long walk is both an adventure and a great way to introduce exercise into their lives. If you want to make it a little more that a stroll, put the kids in a double stroller (or, in my case a triple stroller with the baby in a front pack) and take on some steep hills. Adopt the philosophy of healthy living. Make exercise a way of life rather than introducing it as something you only do sometimes. 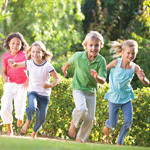 If exercise is incorporated into daily living and you participate, your kids will notice. Sign your kids up for sports at an early age and help your kids train at home so that you are part of the process, not just sitting on the sidelines. Focus your workout efforts. Most moms would agree that running after your kids while traveling is enough of a workout, but taking 20 minutes a day for a focused workout routine is more productive and beneficial in burning fat and toning your muscle. Take along a resistance band, it takes up little room and you can do almost anything with it (and it works for every fitness level). If you’re traveling and prefer your hotel gym, alternate workout time with your spouse to allow you both to get some exercise in. If you want to work out with your kids, swimming in the pool, running on the beach, or going for excursion walks are great ways to include the little ones. Maureen Widroe is the proud Mom of triplets plus one. She is the former President of Santa Barbara Parents of Multiples 2010-2011. 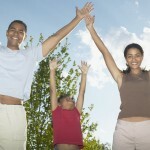 For more information on parenting multiples, check out www.sbpom.org.